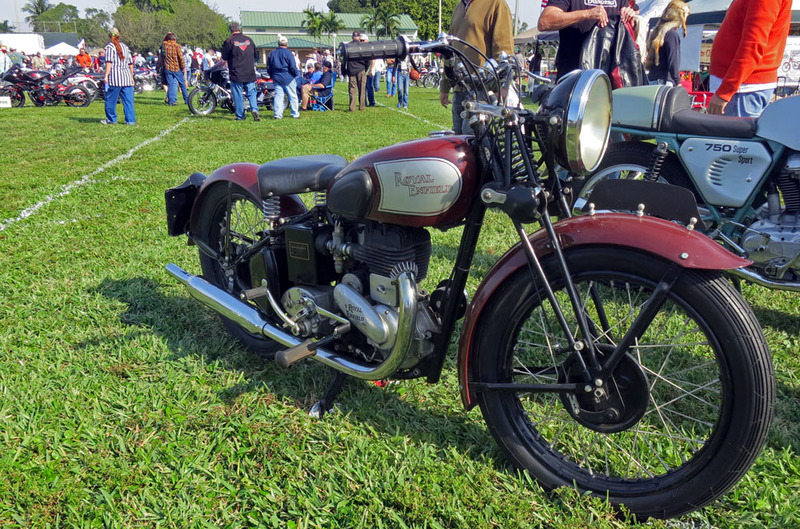 1939 Royal Enfield Model DC was a highlight of the 2017 Dania Beach Vintage Motorcycle Show. The 2018 Dania Beach Vintage Motorcycle Show is 10 a.m. to 5 p.m. Saturday, Jan. 27, in Frost Park, 300 NE Second St., Dania Beach, Fla. It's my favorite motorcycle show, not least of all because admission is free! A sponsor of this year's show is Sky Powersports, the Royal Enfield and Ural dealer near Orlando, Fla. It hopes to bring a mix of its new Royal Enfield and Ural motorcycles to show off. Ural at this year's Dania Beach Vintage Motorcycle Show. As for vintage motorcycles, no bikes newer than 1983 will be allowed on the field for judging. It's $15 to register a bike for the show ($10 if you're a member of the Antique Motorcycle Club of America). Motorcycles compete in eight classes: American, European, Japanese, English, Competition, Scooter, Cafe Racer and Bobber/Chopper. This year's featured class is the Competition bikes. Hundreds of vintage motorcycles are surely reason enough to attend, but the Dania Beach Show also features an outstanding display of vintage bicycles. including an umbrella "drag chute." Sunny Florida sunshine is virtually guaranteed. This is the 12th Annual Dania Beach Vintage Motorcycle Show, and weather has been great every year so far. 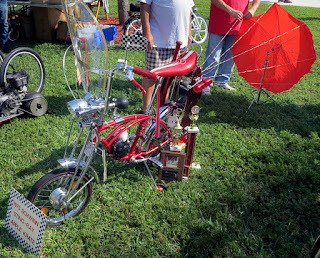 Whet your appetite for the show with a look at my photos from these past Dania Beach Vintage Motorcycle Shows.